We all are aware about the popularity of Facebook. It's one of the best method to share your content online or you can say best social media ever build to promote your contents and products online. Facebook provides many features to boost your traffic in seconds such as Facebook Page, FB Groups, Your Own FB Wall etc. If you will ask me which is the best method in these features to viral your product or content then I will go for FB groups. The reason is that it's a child play to join a Facebook group but to spread your post, images on internet via Facebook page you will first need decent likes on your FB page say 100000. Which is a little difficult task. If you will debate with me that I can share my content through my own wall so let me remind you, Facebook allows only 5000 friends in a single ID. So everything is crystal clear, only groups are the best way to reach a big crowd of people. You can join as many groups as you want. But the thing of consideration in this article is that you can't promote your content in groups one by one. It will cost you a lot of time. According to me no one have this much of time at present. So to help you I have found a trick using it you can share your post in multiple FB groups in just one click. You will be able to share your post, images in multiple Facebook groups at a time in a single click only. The first thing that you will need is Groups. Lol, to share your content this is the only thing which you will need right now. Go and join lots of Facebook groups in your niche. Note:- Try to join only those groups which have at least 10000 members because this is the minimum amount which will drive decent traffic to your posts. You might not be aware about this thing that every FB group has an email address same as every profile on Facebook possess email address. The first work is to grab the email address of all the groups that you have joined. There are currently two methods to find email address of Facebook groups. 2. This is the evergreen way to find the email address of a group. You can find it by looking at the URL in the address bar. Each group's URL is distinguished by either a name or a number. Step 1: If you are able to find email address of a group in the about section then it's fine otherwise look at the address bar of your browser. You will see two types of URL there either the 1st one or the second one. Step 2: Copy the username or the group id like here it is 287468242758487. Step 3: Now we will create email address of a Facebook group. Just paste username or group id before @groups.facebook.com. After doing it your email address will look something like below. Step 4: Use above steps to create email address for all the groups that you have joined, make a list of those emails by separating with commas. Step 5: Now we need to compose a email, simple sign in your email address which you have used to create your FB account. (You can use Gmail, Yahoo or any other). Step 6: Click on Compose E-mail. Step 7: After that copy all the groups emails and paste them in the BCC field. Step 8: After that add the desired material such as texts, images or links which you want share and click on Send button. That's it, you are done. 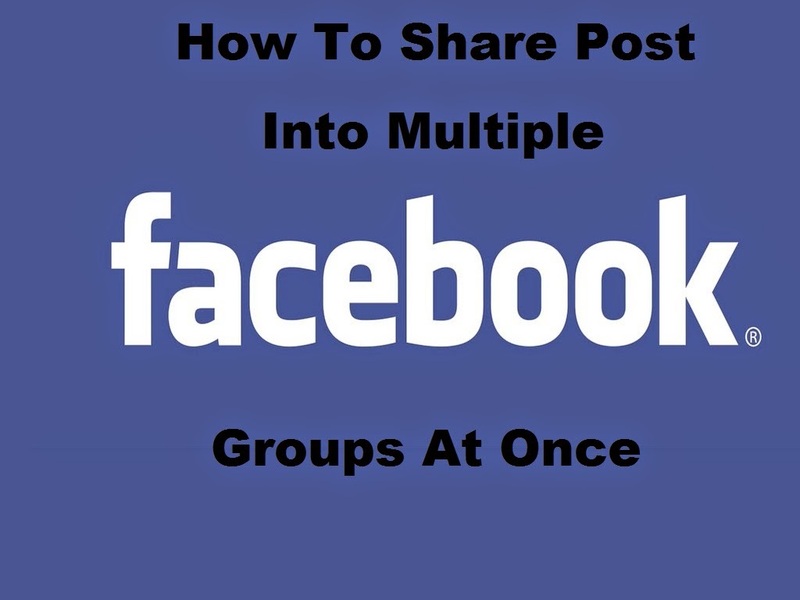 So this was a simple guide on how to share your content into multiple FB groups at once. You can join my Facebook group if you need traffic on your contents and products. Currently it's having 11000+ members and the list is growing day by day. Below is the link of my FB Group, go join it and grab the traffic. Hi Rahul, nice tutorial. But I have one question....will these emails be sent to the admin for approval or it will automatically appear on the groups floor? Thanks Pooja for sharing with us.. Stay connected for more crunchy articles.. If you link is of high quality then surely moderator will approve it and only then you will get a back link from that website.. Thanks for your comment Sidhant... Stay connected for more crunchy articles..
how to add or attached image to post via email? How do you get the images to show in the post? I have tried to attach the image to the image and embed but I cannot get them to appear in the post.